We’re delighted to welcome our newest Account Manager Robyn to the Client Services Team. 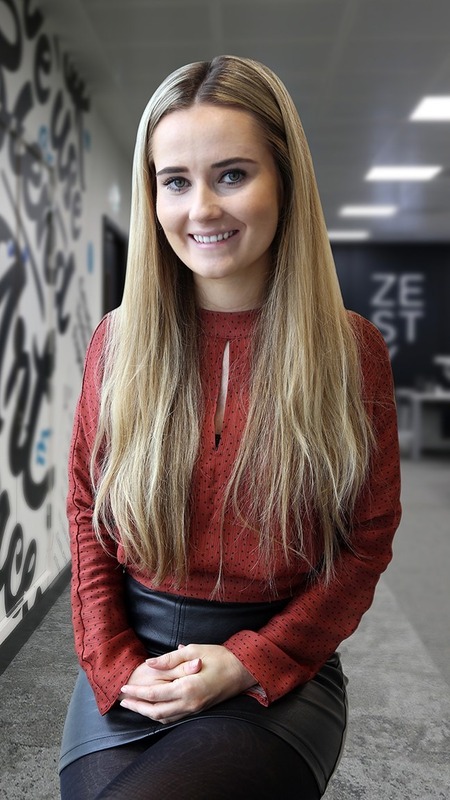 Robyn has just recently moved to Belfast from Manchester, with a Marketing Account Management background she is experienced in looking after some of the UK’s household name brands. She’s looking forward to meeting our clients and getting stuck in to Zesty projects. As with all new recruits, the first couple of weeks are busy with inductions and on-boarding, meeting the Team and getting a good understanding of our processes. Great to have you on-board Robyn!